Most personal injury lawyers have little or no knowledge of railroad law, specifically the Federal Employer’s Liability Act or FELA. At Wilson & Hajek, we have decades of experience representing injured railroad workers and rail passengers. Francis Hajek has been listed in the book Best Lawyers in America in the area of railroad law since 2007. We know the liability, medical, insurance and disability issues that railroad workers face when they have been injured on the job. Railroads aggressively defend injury claims, often beginning their investigation of the rail worker on the same day of the injury. Many times, we find out that the railroad hires a law firm that specializes in the defense of FELA claims while the injured worker is still in the hospital. The railroads defend a case on several fronts, including trying to avoid liability for the injury and then trying to limit the damages that might be recovered. We know that we have to work hard to protect our clients’ interests and we begin that work from the moment that we are hired. We know that we will have to fight hard to obtain the best result for our client. 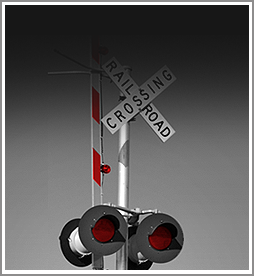 Railroad injuries can happen at any time and they can happen anywhere. We have represented railroad employees involved in accidents in rail yards, on rail equipment, and all over the country. Francis Hajek has tried railroad cases in many states and in both state and federal courts. If you have questions about a railroad injury, call for a free consultation and learn what your rights are and how we can help you.